Violinist Ilona Klusaite was born in 1960.01.19 in Kaunas, Lithuania. 1979 Kaunas Juozas Naujalis Music Gymnazium. 1992 Amadeus String Quartet Summer Course, Reagent Colledge, London. 1981-1996 Ilona Klusaite played as first violin in The Kaunas String Quartet. 2002 – 2014 I.Klusaite played in The Kaunas City Symphonic Orchestra as second concertmeister. 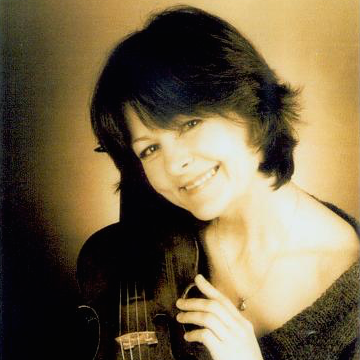 From 1996 till now she is first violin of The Collegium –Kaunas String Quartet. 5 CD with The Kaunas City Symphonic Orchestra. Records for Lithuanian Radio and TV fund. 1983 and 1987 The Kaunas String Quartet got Grand Prix in Kaunas Chamber Music Festivals. 2006 I.Klusaite was noted with diploma in the International competition of young musicians „ TALENTS for EUROPE “ in nomination of best teachers. 2010 Ilona was noted with Santaka Honour Sign of Kaunas Municipality for merit to Kaunas city. 2015 she was noted with Honour Paper of President of Lithuania Dalia Grybauskaite for creative work with students. Ilona Klusaite now is Kaunas Juozas Naujalis Music Gymnazium teacher and Kaunas Vytautas Magnus University Music Academy lector. Ilona‘s hobby is working in the garden, reading books, tourism.